Needless to say—but I’ll say it anyway—it’s thrilling news whenever a new local live music venue opens in the Hudson Valley. Especially when it’s a venue that’s not just looking to augment Karaoke Night with more graying dudes in tie dye and stone wash playing classic rock next to the dart board. No harm in that scene, of course; it’s just that there’s more than enough of it already in place. What’s more exciting, in this humble listener’s view, is the deep-trawling underground fare on the calendar at the freshly minted Tubby’s, which opened last week on the Midtown Kingston corner formerly occupied by the notorious dive bar Broadway Joe’s, recognizable by the life-size figures of Elvis and The Blues Brothers mounted on the roof. Sadly these music legends are gone, but in their place is an impressive program of music acts. If the writing on this photo is accurate this is what 586 Broadway looked like in 1957 when it was Frank’s Restaurant. Found this while doing some deep cleaning last night. Musically speaking, Tubby’s accent will be on experimental underground, punk/garage rock, and free jazz; vegetarian food is part of the plan as well. (Plump is also a member of the band Spray Paint, who will perform at the club on October 11.) Rocking the joint on September 29 will be Brooklyn bands the Wilful Boys and Hardbodies. OCTOBER 5 RAMBUTAN/PARASHI/FOSSILS FROM THE SUN Albany freak crew drop by Tubby's for a night of sandpapery, post-industrial, DMT-inspired "sounds" and "music." OCTOBER 8 KUZU (Dave Rempis, saxophones; Tashi Dorji, guitar; Tyler Damon, percussion. Some of my favorite players going right now in the free jazz/avant world. Truly an honor to have them grace the tiny stage. THE GREEN PASTURE HAPPINESS (Kingston's own Fred Lonberg-Holm, Zoots Houston, Daniel Fandiño) Incredible group of folks from right here in our own backyard. NOVEMBER 3 STEFAN CHRISTENSEN (From New Haven, Connecticut. Former Estrogen Highs member now making very excellent psych/drone/ambient/lo-fi/mind-melting guitar experiments.) ALEXANDER (Also from New Haven. Heady solo guitar work). NOVEMBER 5 CHRIS BROKAW and THALIA ZEDEK Special show right here. Advance tickets required. They formed the band Come in 1990, and both of their careers are extraordinary. Members of Codeine, Come, Live Skull, Uzi, The New Year, etc., etc. Amazing. 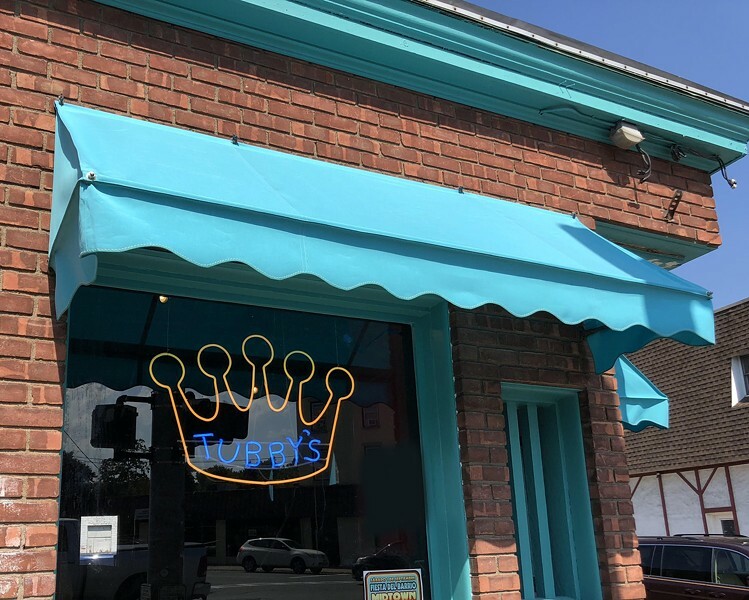 Tubby’s is located at 586 Broadway in Kingston, New York. For more information, visit https://www.tubbyskingston.com/.